We've had a lot of inventory over the years, but this is the rarest piece we've had. 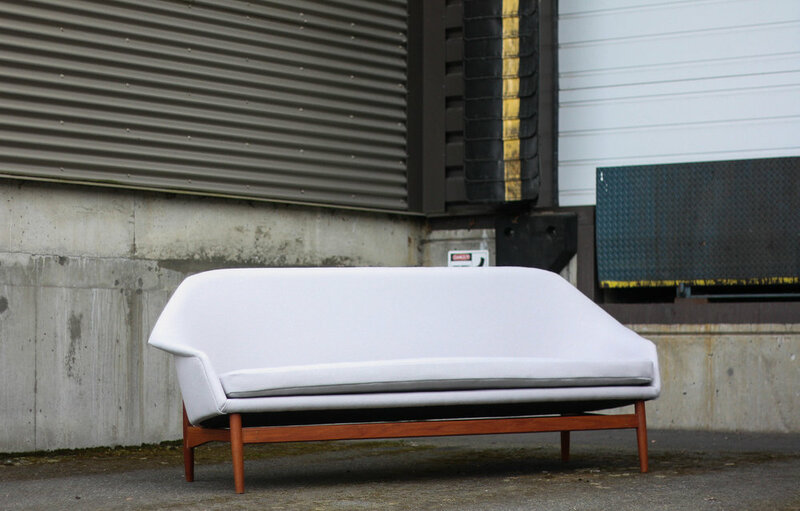 Designed in 1957 and only produced for a short time by Carlo Gahrn, this IB Kofod Larsen designed Settee will surely be your new favorite piece. 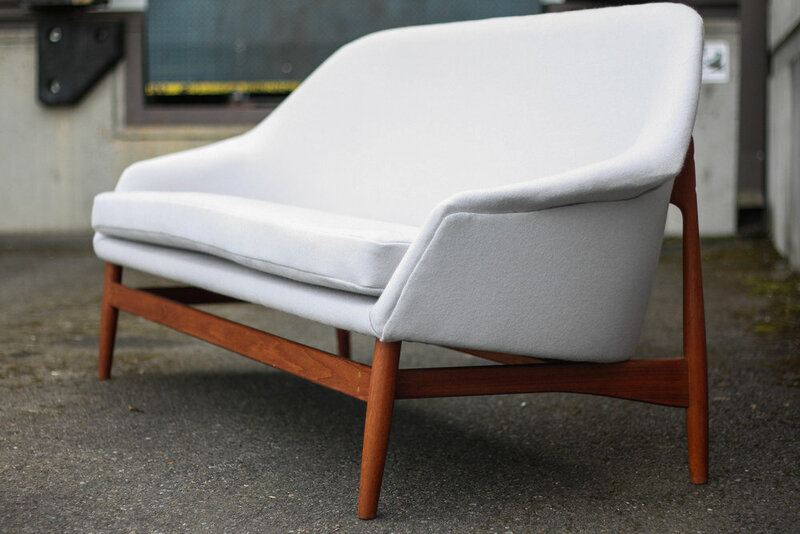 The dramatic teak frame features tapered legs and a sculptural bowed stretcher. 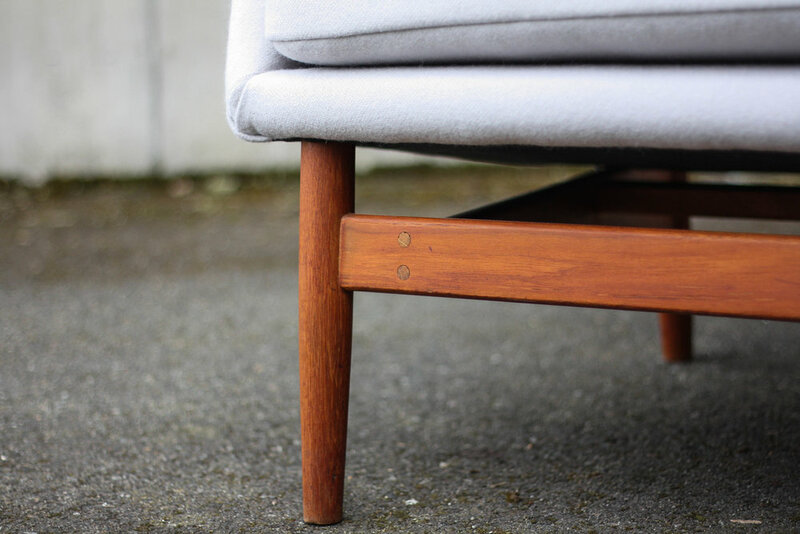 On the backside, two teak braces seamlessly connect to the sofa's frame. 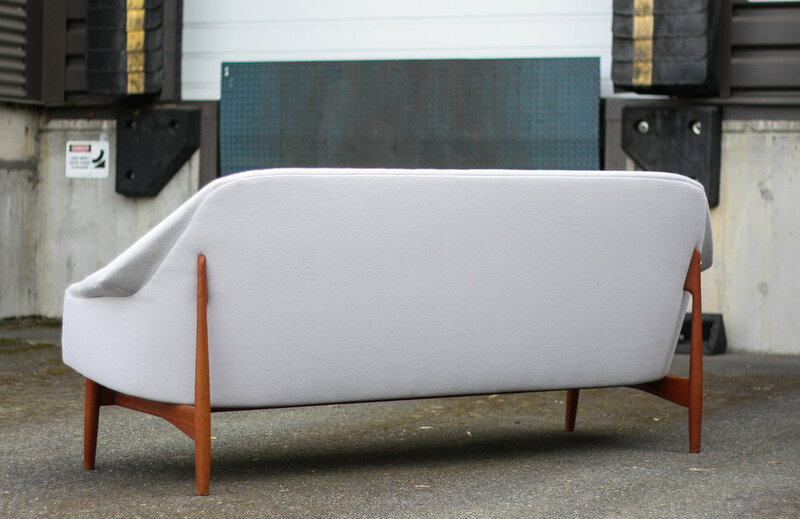 Beautiful from all angles, this sofa can float in the center of a room and capture attention from any perspective. The shark fin gray wool fabric is period appropriate and provides a nice contrast to the warm orange/red tones of the teak frame. Take not of the expert upholstery job as there are no seams on the front or back plate. The gently curved arms and back are very similar to that of the Womb chair, designed just a few years prior. Completely restored, new foam, batting, webbing, and the frame was sanded and hand olied. Subtle charachter marks and patina remain perfectly blending the old with the new.